The extreme challenge of cross country skiing 220km across the Nordic wilderness attracted a record breaking amount of sign-ups for the 2018 edition of Red Bull Nordenskiöldsloppet. Now the date for next year is set. The start will take place on March 30, 2019 and the registration will open on June 12 here at www.nordenskioldsloppet.se. 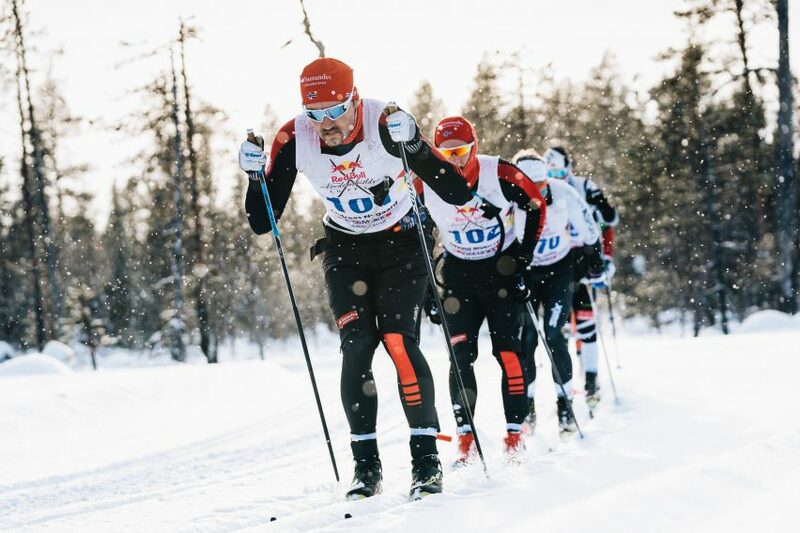 “This year we had a record breaking amount of sign-ups and in a short time we have managed to establish the race among the top international elite and exceptional amateur skiers from near and far travel to Jokkmokk to race. It’s fun that the rumor about the Red Bull Nordenskiöldsloppet has also reached far beyond Sweden’s borders, “said Wolfgang Mehl, competition organizer. Snowfall made the 2018 edition of the world’s longest cross country race the toughest to date. Andreas Nygaard from Norway managed his strength and could in the end claim his second consecutive win in Red Bull Nordenskiöldsloppet after double-poling more than 13 hours straight. “This was the toughest thing I’ve done. It was brutally difficult!” says Andreas Nygaard after passing the finishline. Nygaard’s winning time was more than one and a half hours slower than the year before and the battle for first place was settled in total darkness this year. The heavier conditions took its toll further down the starting field as well. Of almost 400 registered skiers, only 212 riders finished the race. 121 did not finish and only 99 completed the medal time of 20 hours. The competition is open to both elite and amateur skiers. As in 1884, Red Bull Nordenskiöldsloppet will lead the participants through 220 km of Arctic wilderness. The race starts in the small village of Purkijaur – just outside Jokkmokk – and goes up to the turning point in ÅrreNjarka, close to Kvikkjokk. It then continues back to the finish in Jokkmokk. Read more about the track here. “The race has such a unique and spectacular history. It was a fantastic sportive achievement they performed in 1884, and we who live in the region look forward to continue building on what Nordenskiöld created.” says Wolfgang Mehl. Working on the track of Red Bull Nordenskiöldsloppet is a year-round job that keeps our track officer Lennart Nilsson busy even during Summertime. Even though it’s summer outside March 30, 2019 will be closing in fast so it’s time to start training! Make sure to put June 12th in your calendar in order to secure your spot before it’s to late. Following us on Facebook to stay updated with the latest news and the journey towards the world’s toughest cross country ski race.